Tilly is my little jumping bean. Full of kisses and love. 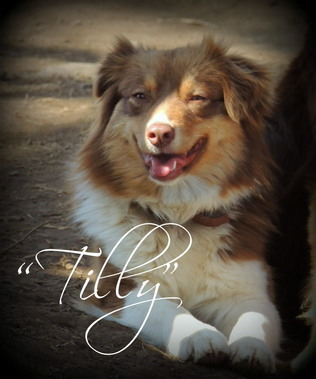 Tilly is super athletic and packs all her fabulous temperament and structure into a small package of 14.5" and 20 lbs. 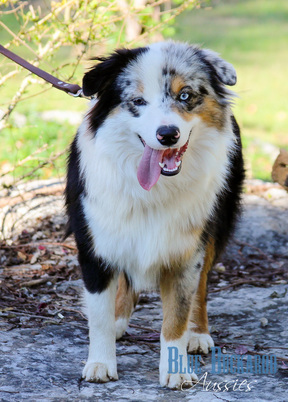 Jagger brings wonderful bone, structure and temperament to the table. His movement is outstanding and he is wonderful blend of show and working lines known for excelling as therapy and service dogs. This boy has it all - wonderful temperament, great build and great expression - all backed by over 10 generations of proven healthy and versatile aussies. Jagger is 18.5" and 45 lbs. AKC and ASDR registered. RESERVED - Thank you Tracey! Darling little black tri female. Smallest in the litter. This little girl is a bundle of excited kisses :) She would make a great frisbee or agility prospect. SUPER outgoing and confident - she is an adventurer at heart ! Reserved - Thank you Conlee family! What a neat little guy! Unique minimal white Black tri! Reserved - Thank you Cassidy! Sweet little black tri male. Great copper Trim. smallest in the litter. Reserved - Thank you Thompson family! Darling little black tri male. Great white and copper trim. RESERVED - Thank you Jordan! Neat dilute black tri male (his body will be a steel grey). Great white and copper trim.